“Chile is a sinewy sliver of a nation, isolated from the rest of South America (and indeed the world) by the soaring Andes to the east, the vast Pacific Ocean to the west, the bone-dry Atacama Desert up north and the impenetrable wilds of Patagonia down south. From its disparate extremes to the ever-trendier capital of Santiago at its heart, the country’s citizens will unite in 2018 to mark 200 years of independence.” Lonely Planet – Top Countries, Best in Travel 2018. Adventure oozes from the very heart of Chile, an inspiring destination for cyclists seeking nature on an epic scale. Our long history with this destination means we’ve sourced some of the best cycle routes possible, offering you an unrivalled opportunity to experience this land of fire and ice. Whether you want to explore world-renowned vineyards, dramatic volcanoes and monkey puzzle trees of the Lake District region or head deeper into wild Patagonia..we’ve something for everyone. Eager to join us in Chile? 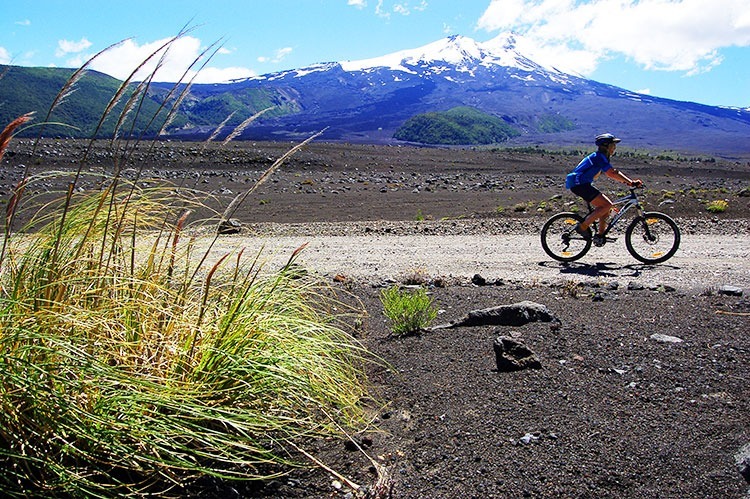 We’ve 4 amazing cycling holidays exploring this South American gem. For our full range click here.